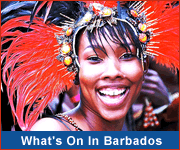 Bowling in Barbados? Yes it's true! While bowling is certainly not a traditional past-time for Bajans (we prefer 'bowling' as in cricket! 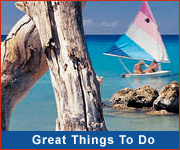 ), you can enjoy this activity while on your Barbados vacation. The air-conditioned Bowling Centre at Casa Grande Hotel offers 8 lanes and is configured for 10 pin bowling. There is also a restaurant, bars and a lounge to hang out in, and a video game arcade for the kids and young at heart!